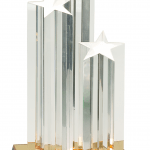 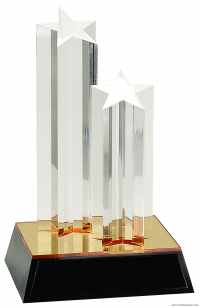 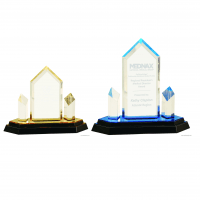 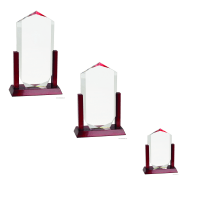 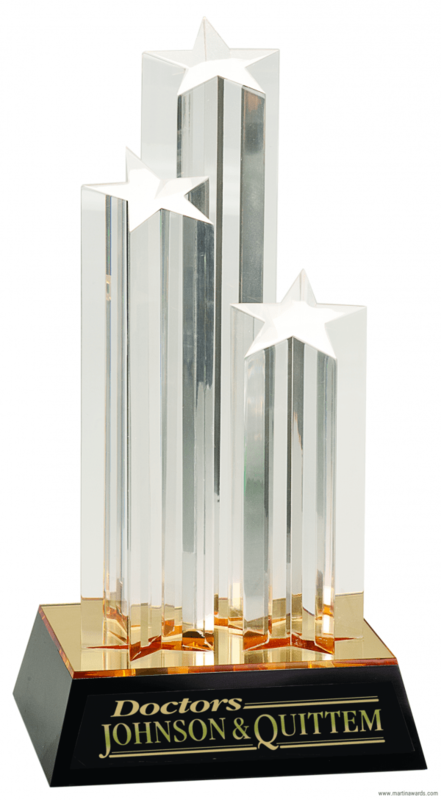 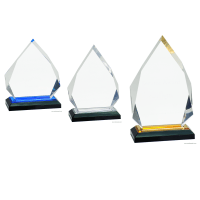 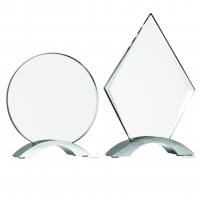 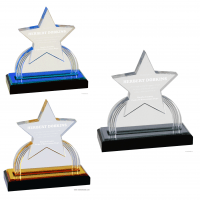 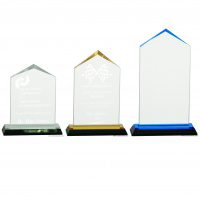 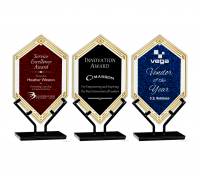 Enjoy this GOLD triple star column acrylic award on your desk with laser engraving on the black brass plate upon the base. 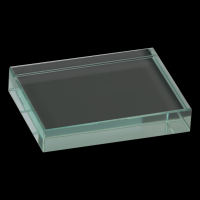 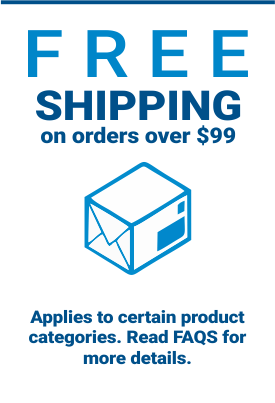 It stands at 11 3/4″ tall with a width of 5 inches and length of 6 inches. 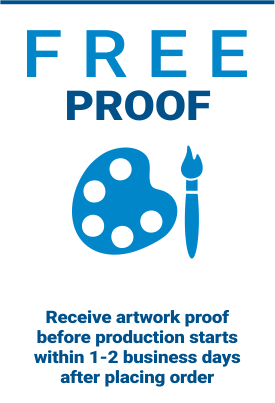 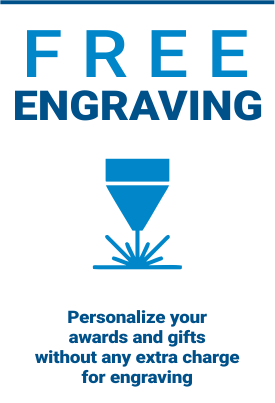 If you’re curious of what is the laser engraving area; that would be 5 1/2″ x 1 1/8″.